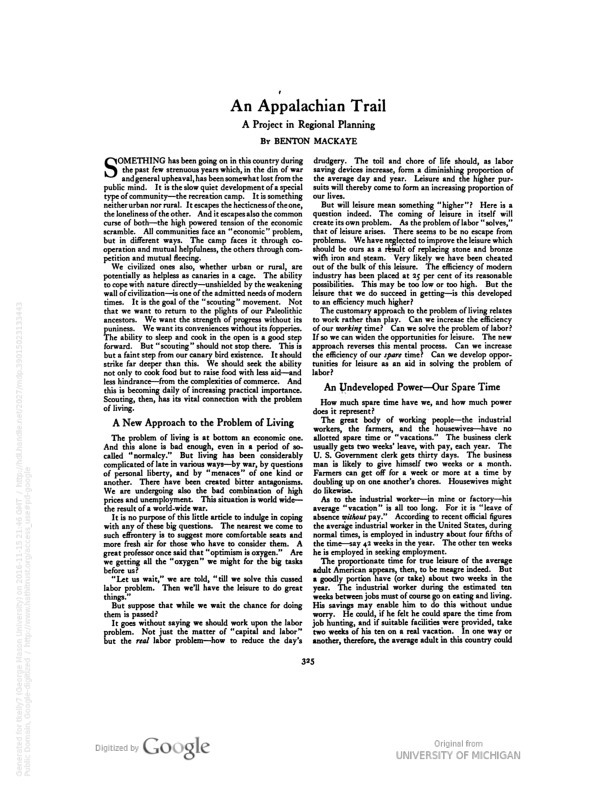 Benton MacKaye's article in The Journal of the American Institute of Architects 9 (October 1921):325-30, in which he proposes the Appalachian Trail. Benton MacKaye, “An Appalachian Trail: A Project in Regional Planning,” Appalachian Trail Histories, accessed April 23, 2019, http://appalachiantrailhistory.org/items/show/418. No rights are granted to reproduce any items found on this site.